Elifar has funded a specialist car seat for four year old Ynes. She was born prematurely and has motor disorders, low muscle tone, and poor core stability and sitting balance. She is unable to walk and is being assessed to use a walker and will use a wheelchair when older. 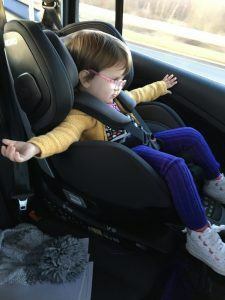 Ynes’ family asked for a £395 specialist car seat to help support her and make sure they can transport her safely whenever they take her out in the car.